Back in March 22nd 1996, Capcom released a little known game and new IP. That game was Biohazard, better known as Resident Evil to the rest of the world. Little did Capcom know that the game would eventually become one of their mainstay franchises for years to come. Resident Evil was famous for many things but two of them stood out the most, the legendary voice acting and Survival Horror. Most people know Resident Evil as having created the Survival Horror genre and well that is partly true. There were already games released before Resident Evil that fell under the Survival Horror genre like Alone in the dark and Clock tower. However it wasn’t until when Resident Evil got released that the term Survival Horror came about(Capcom actually came up the name Survival Horror). So how then did Resident Evil come about? 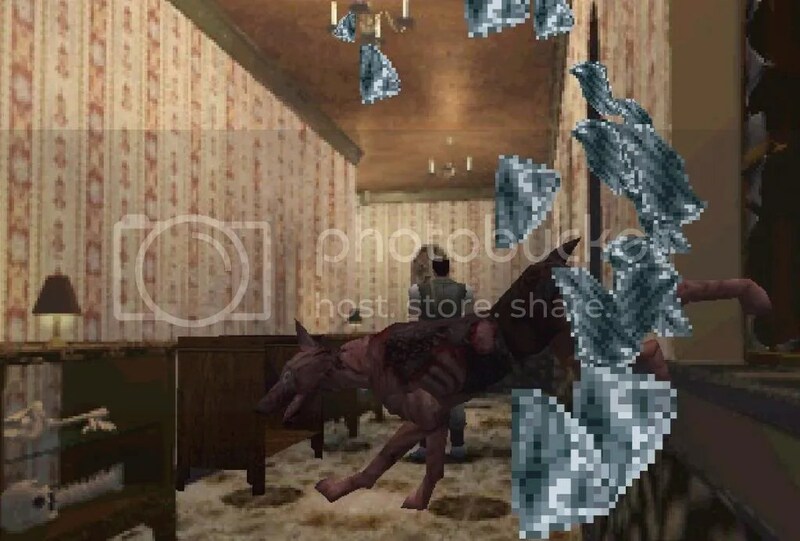 Resident Evil drew many inspirations from another Capcom made horror game, Sweet Home. It was based on a Japanese horror movie with the same name and was one of the first few horror games to be made in Japan. Despite being a Horror Game, Sweet Home was actually a RPG game and featured many standard RPG mechanics such as random battles, skills and abilities etc. A team in Capcom led by Shinji Mikami was commissioned to make a similar horror game set in a mansion. 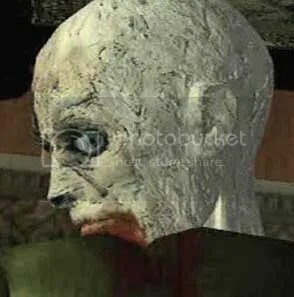 Initially it was intended to be a remakes of sorts to Sweet Home but as development went on, it eventually transformed into it’s own thing and became the Resident Evil we’ve all come to love today. It still retained elements such as the puzzle solving and horror game set in a mansion though. The basic plot of Resident Evil involved the Raccoon Police Department’s Special Tactics And Rescue Service or better known as S.T.A.R.S, being sent to investigate the outskirt of Racoon city where mysterious deaths were reported.Most of the deaths were from bite wounds and showed hints of cannibalism. Whilst on the way, the team was attacked by mutated dogs or zombie dogs and were forced to seek refuge at a mansion nearby. As the plot progresses, a tale of betrayal and bio experiments gone wrong unravelled before the player’s eyes as the player tried to escape from the mansion. First encounter of the staple zombie. From the get go, players were able to choose between two characters, they were Chris Redfield and Jill Valentine. Both characters had different plots which would eventually merge into a single plot point and the characters themselves both handled differently. For example, Chris had more health but couldn’t carry as many items whereas Jill was the opposite, she could carry more items but didn’t have as much health. Although it was nice to be able to play two different stories in a single game, what really made Resident Evil stood out was the whole aspect of Survival Horror. Back in the 90s, most of the popular games were about giving players an empowering experience; Being able to cast magical powers or just blow things up till kingdom come. It was what made video games appealing in the first place, a form of escapism from mundane reality. But Survival Horror was completely different, it stripped away that empowerment. As the name implies, it was mainly about survival with horror elements thrown in. Players were not treated to an abundance of weapons,ammunition or health packs. Ammunition and healing items were a valuable resource and players were not able to carelessly use them. Add to that the limited inventory space the characters had, players had to choose what to bring along. More ammo and less health items or more health items and less ammo? What this created was an intense situation whenever the player encountered an enemy; An example, let’s say you have to enter a room at the end of a narrow hallway but between you and that room lays a very hungry zombie waiting to lovingly chew you up. So what do you? A) You kill it with your weapon, however this meant using up valuable ammunition which would make any mandatory boss encounters even harder if you didn’t have enough ammunition. B) You try to somehow out-manoeuvre the slumbering thing and reach the door at the other end. And if you didn’t manage to successfully do that, it would then lead into…. C) You get bitten and suffer damage and in Resident Evil if you suffered a certain amount of damage, you would enter either a “Caution” health status or “Danger” health status. Those status made your character move slower with Danger status making your character walk as if he’s been shot in the leg. This made avoiding enemies even harder than before thus making healing a priority and healing items are a premium in Resident Evil. This scene probably gave many young kids nightmares for nights. Me included. All these elements and outcomes made enemies a legitimate threat, they weren’t there just for players to shoot up for fun but were there as a real obstacle. If that wasn’t enough, then how about tank controls and static camera angles combining together to make moving around skilfully a real art. It was really hard to move the character because you had to move in the direction the character was facing and not the camera. So if the camera depicts the character having to move DOWNWARDS the screen, you had to push UP on the gamepad to move him forward to move down the screen. Confusing I know. Combine all these with smart scares and you have yourself a terrifyingly exciting experience that only Resident Evil was able to offer. 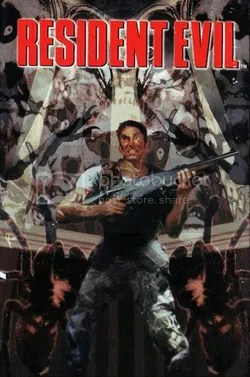 Resident Evil may not technically be the first Survival Horror game but it definitely set the standard for this genre. Gamers everywhere really enjoyed it and would eventually go on to sell 2.75 million copies. Capcom after seeing how well received and popular Resident Evil was wasted no time in developing a sequel to this game which I will talk about in the next LTTPPF. A little trivial: Why was Resident Evil called Resident Evil in the US when it already a far better name in Japan? Due to trademark issues, there was apparently another game that goes by the same name and a band also used the name Biohazard. Unfortunate but hey it kinda works….right?